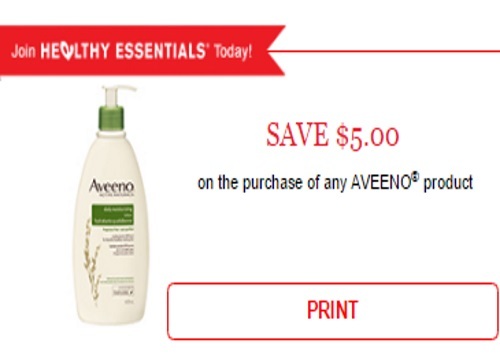 Healthy Essentials has an awesome coupon for Aveeno! Save $5 off any Aveeno product with the coupon below. Aveeno products are often on sale so you can possibly get a product for free with this coupon! Limit 1 coupon per person. Coupon expires December 31 2016. Grab it while supplies last. This is a print coupon. I am often weary of printing coupons but for this one I might make an exception because it's so great!